Lucky Street has set up a potential showdown with boom filly Hot Goods after he posted a tenacious victory in the Listed Miss Andretti Stakes (1100m) at Ascot on Saturday. Slow out early Lucky Street gave favourite backers a few heart flutters but recovered quickly to land in front and assume the front running role as expected for jockey, Paul Harvey. The Oratorio colt shook off Dueton as they balanced for the run home , but then faced a late challenge from First Among Equals who rallied hard from near last. But Lucky Street had enough in hand and hit the line a long-head clear of First Among Equals with Silverstream filling third placing in the $100,000 feature. Lucky Street posted his first major win as a three-year-old after dominating juvenile ranks last season, culmination with 2YO-Horse of the Year honours. 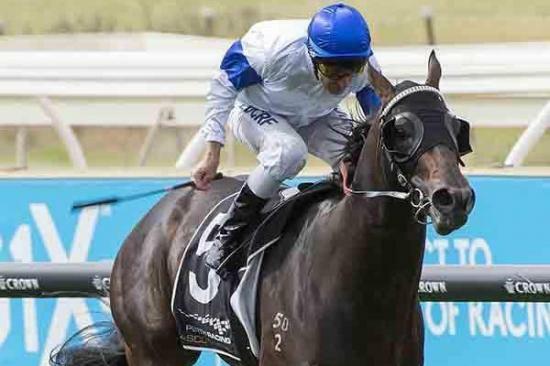 He won the Magic Millions Perth 2YO Classic (1100m), the Listed Perth Stakes (1100m) and WA’s premier race for youngsters: the Karrakatta Plate (1200m). Lucky Street will next attempt to become the first horse to win the Magic Millions Perth 2YO Classic and Magic Millions 3YO Trophy (1200m) when the latter is run at Pinjarra on February 7. Andrews, who won his first Miss Andretti Stakes after finishing second with Rescuer (2005), said Lucky Street had to earn his sixth career win from 11 starts. “He was a bit tardy away and Paul had to be positive on him before Dueton served it up to him,” Andrews said. “I knew pre-race someone would take him on and so he wouldn’t get a soft run. “To our blokes credit he dug deep and goes to the 1200 metres of the Magic Millions. Hot Goods is set to make her return after an unbeaten maiden campaign at Belmont and Pinjarra last year.